A former biology student, Djmoom‘s love in the Nature soon inspired him to explore the natural sounds and create his own style through the arrangement of unique sounds and tunes..
His interest in sound and music and the experts` interest in his melodies, encouraged him to study music and sound technics. He has been producing music since 2000 with several collaborations in movies and documentaries. He worked as sound designer/editor for many years. 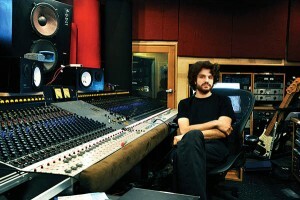 He is also known as a successful arranger, especially for electronic music. His music was used in several short films, theatre plays, documentaries that participated in film festivals, TV. He loves music, cinema and art. He has collaborated with many production companies. He has worked for London Turkish Film Festival as Music Producer & Office Admin, He also produced the music for 18th London Turkish Festival Trailer.